Central and northern Scotland's channel 3 operator STV has confirmed it will be launching its HD channel on Sky and Freesat on 28th April 2014. Freesat HD viewers will be able to tune in on channel 119. Sky viewers will be able to watch on channel 103 in the STV West region (Glasgow newsroom) or channel 178 in the STV East and ex-Grampian regions. This is because the STV HD channel will be a simulcast of STV West and eligible for an HD/SD swap on Sky in the region where it matches the SD channel only. The launch will be welcomed by football fans, who will be able to follow STV's coverage of the World Cup in high definition. Following technical changes in February, Sky viewers in central and northern Scotland have been unable to access itv HD via Sky's add other channels function - it was a workaround to watch football in HD via an alternative Channel 3 region. 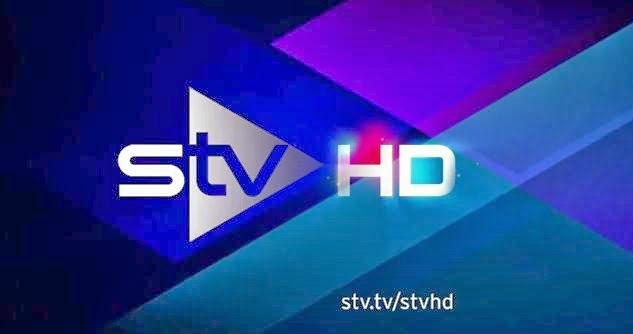 STV HD first launched in 2010 as part of the roll-out of Freeview HD. Its interesting to note that due to where ITV are placing this channel, transponder wise, anyone with a Sky HD box can manually tune it. Will this bring us STV + 1 as well? Where are they pacing it? There are currently no plans for STV+1 to officially appear on Sky and Freesat's EPG, although broadcasting off the EPG. Please keep this valuable service running. I need it for my Off-Air frequency standard. Thanks.